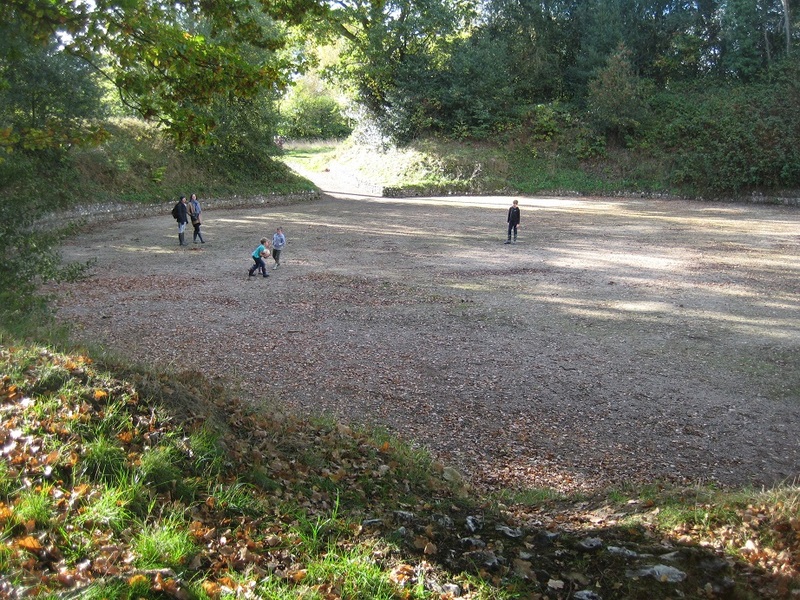 During our third visit to Virginia Water we found a trackable, Mr Heyday (anag), and it took us just a few minutes to realise the anagram was of Mary Hyde. 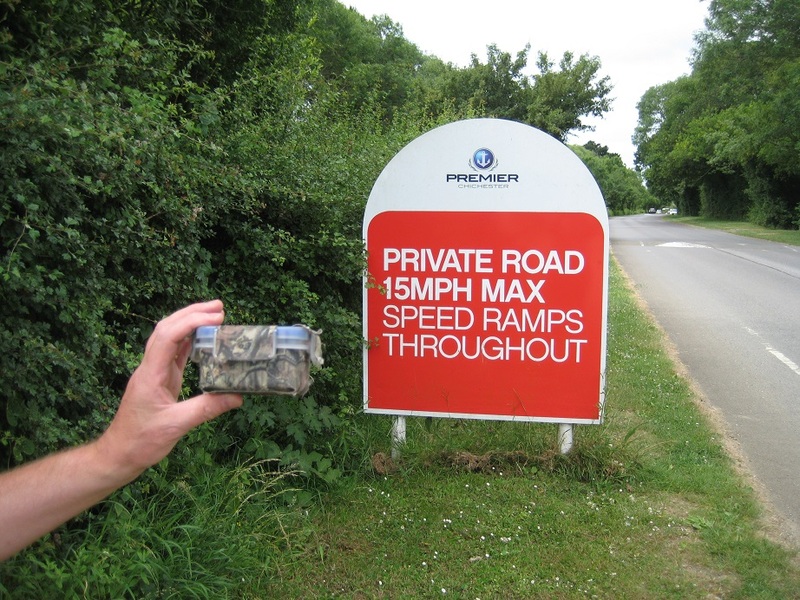 During July/August this year, we had taken part in the Mary Hyde challenge finding a certain number or certain type of caches each week. 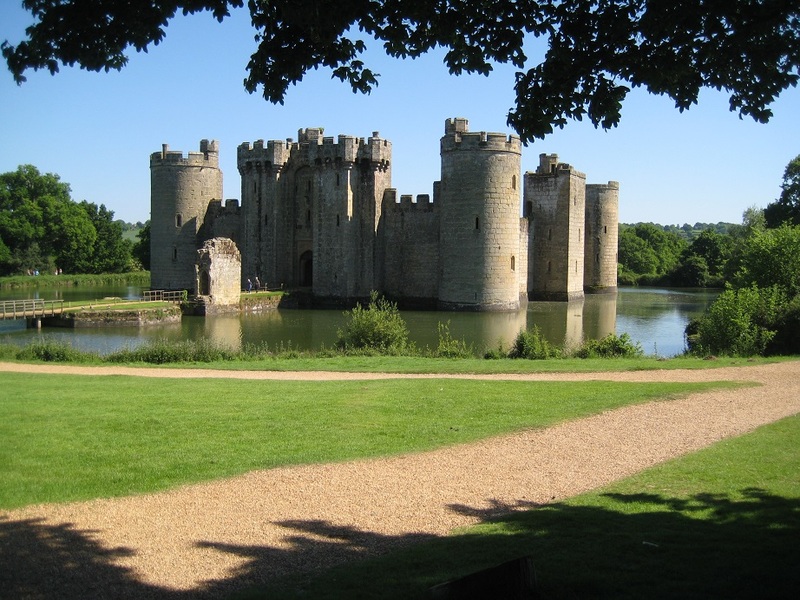 It was only after the challenge was over that we realised we hadn’t completed the final online task …and as a result we didn’t qualify for gaining a trackable code (leastways, we are speculating that was the outcome). Mr Heyday (anag) was released mid September 2017 and since then has travelled just less than 100 miles. In fairness, this is due to its (his?/her?) 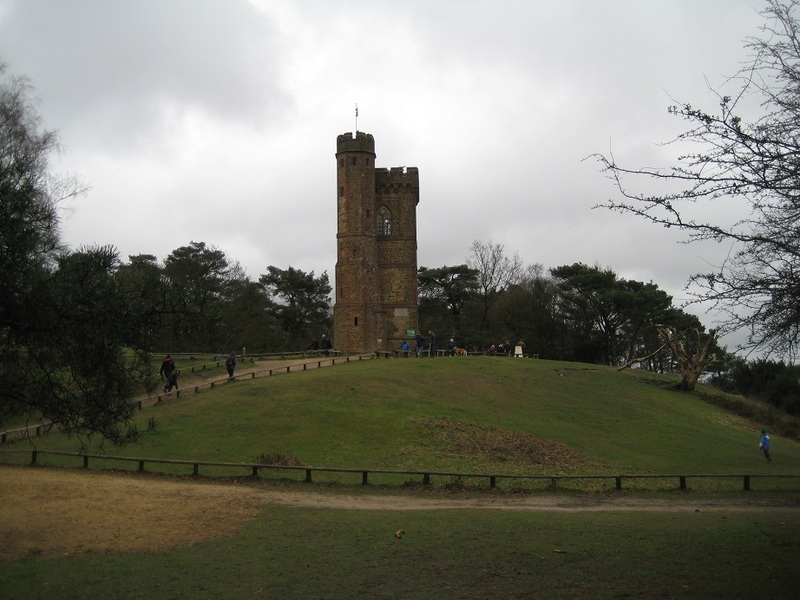 mission statement – “to keep within Surrey and Sussex”. 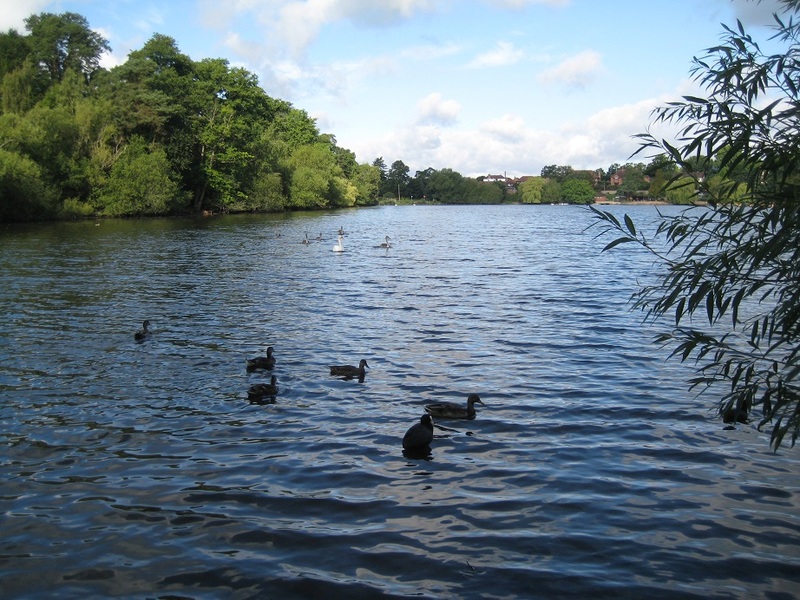 Virginia Water, where we found the trackable has a county boundary running through it…Surrey and ..Berkshire! Fortunately we found the trackable on the Surrey side..we must remember not to place the Mr Heyday (anag) , on the Berkshire side! 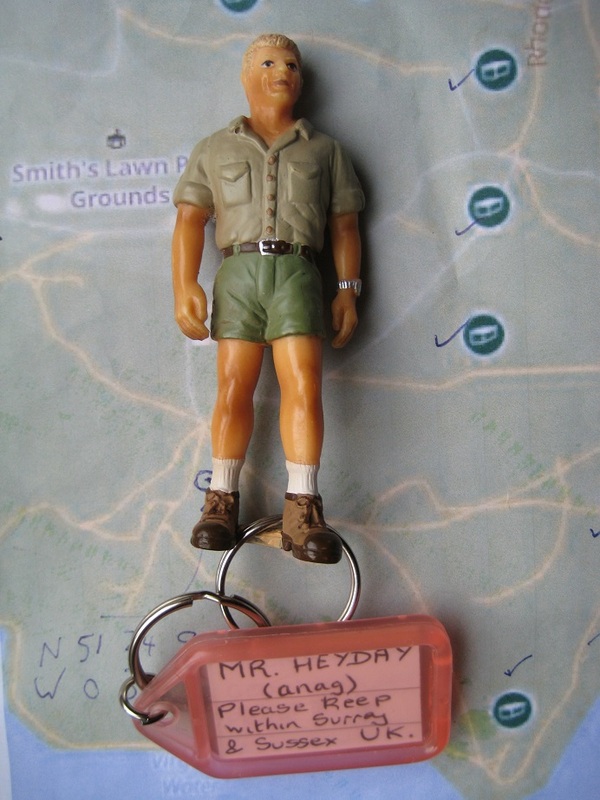 Incidentally whilst researching this trackable’s adventures we noted it had been deposited by EL-JO – a local cacher to us, who had written in the log “Our Mr Heyday is holed up in a snow covered TB hotel in Canada”. 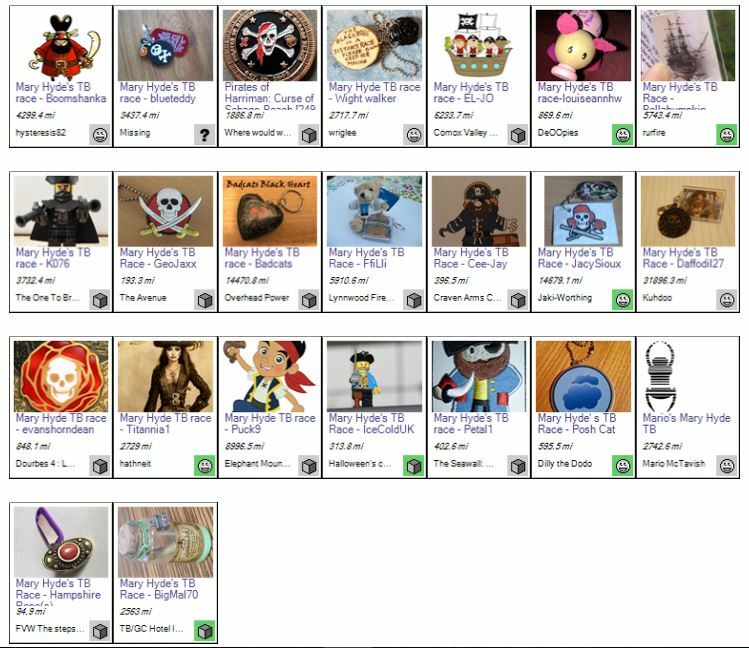 We investigated further, and discovered that over 20 local cachers have a trackable race competition with their booty from the Mary Hyde challenge. 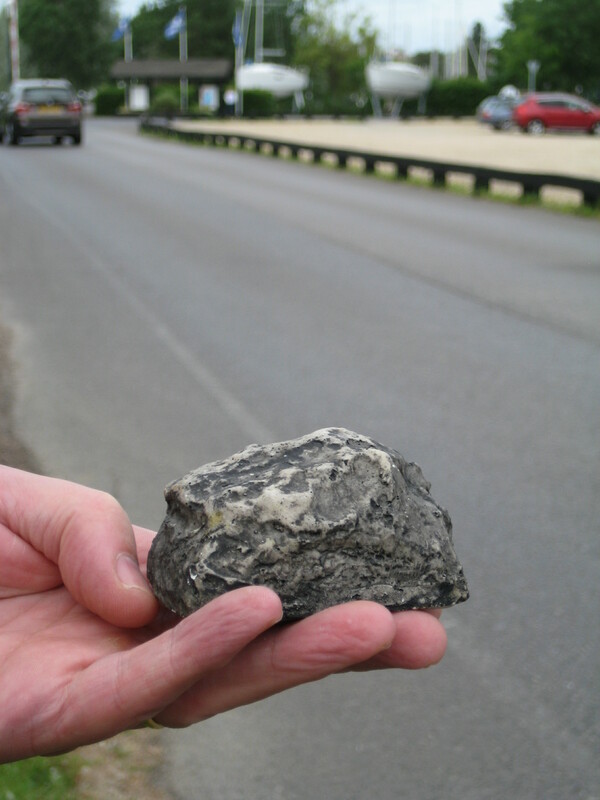 If you see any of these when out and about… please move them on ! 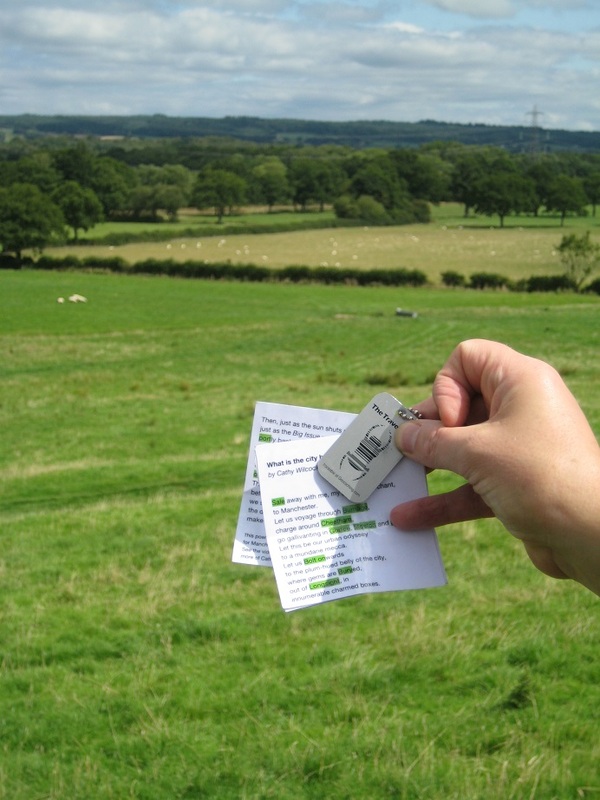 It was the weekend after the UK Geocaching Mega, and it all seemed a bit flat after the hustle and bustle of Devon. But it would be good to go out and actually search for a cache, instead of being handed the cache container by the previous cacher in the queue! 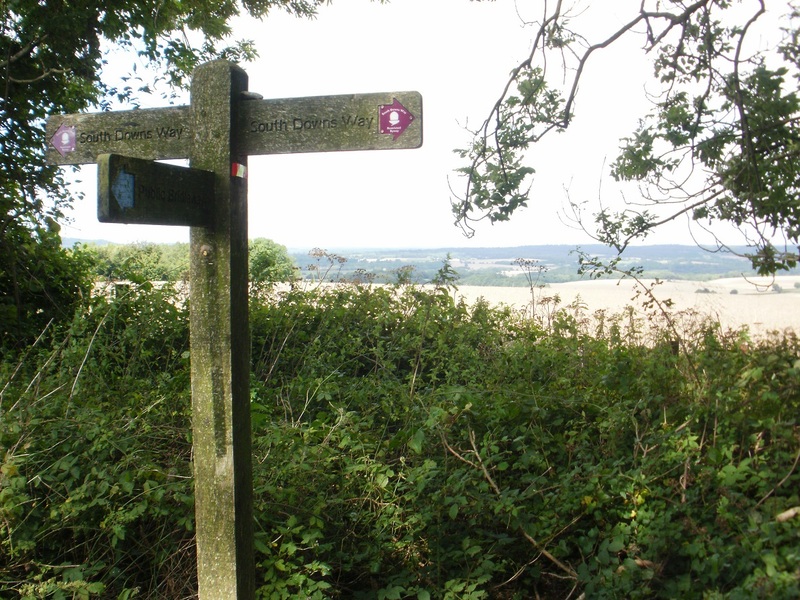 We settled on the Petersfield Plod series, which starts at the south east of the town, then circles clockwise up onto the South Downs Way and back down to the starting point. 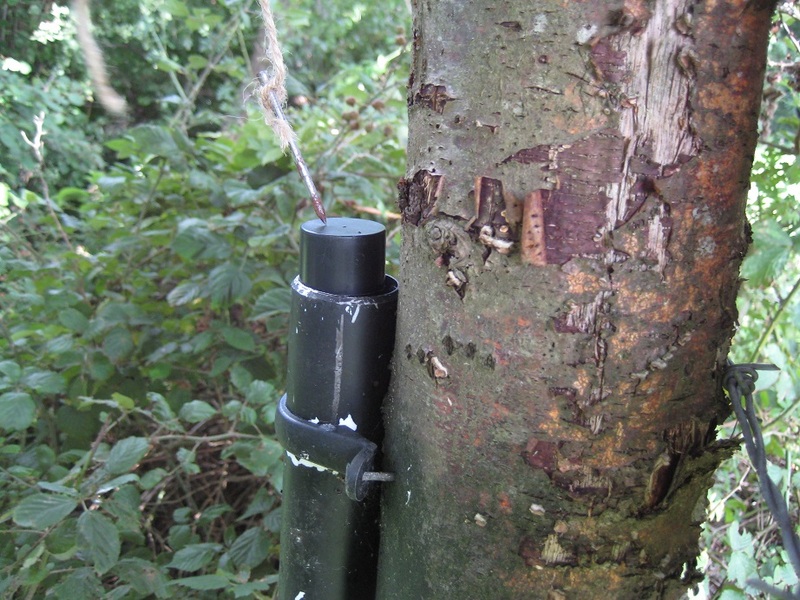 There are 37 caches in the series, plus a few others along the same route. We decided to do every other cache, to give us a chance to do the rest of the series another time, maybe going around in the opposite direction. We set off from a free car park close to Heath Lake, on Petersfield Common. 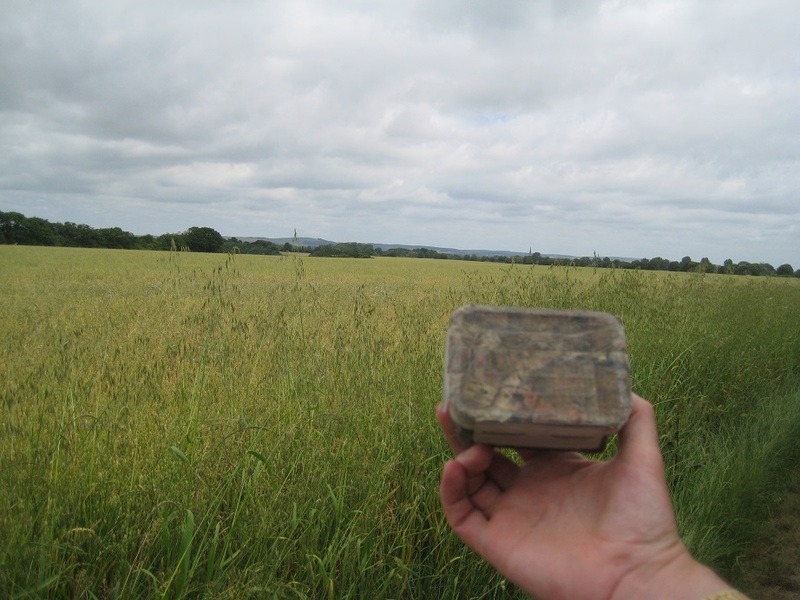 Finding our first cache, we reached the edge of the common, crossed the road, and set off into farmland. 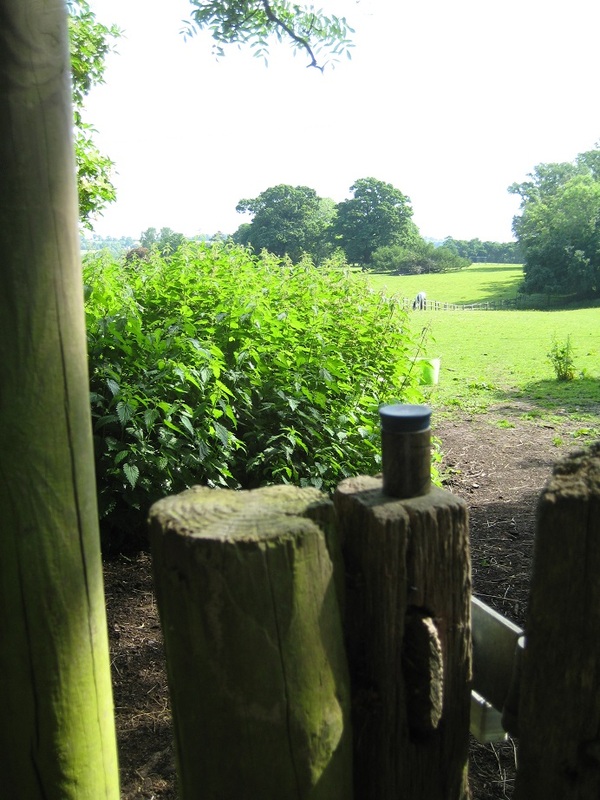 And the stiles started … there were lots of them, some were surrounded by nettles, some were quite tall (and I am NOT tall) and, worst, one crossed an electric fence, with an unprotected strand of barbed wire as the top rail. Oh dear! Mr Hg137 did some careful balancing, and I carefully deployed my geohat as protection. Watch out for barbed wire! On we went, across a mixture of fields and very narrow lanes, the sort with moss growing down the centre. 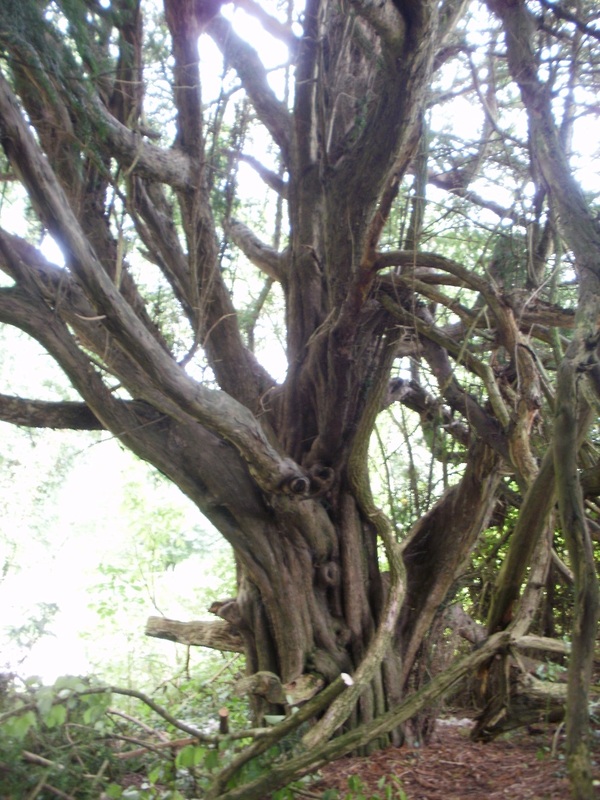 We dodged nettles, hunted in trees and behind posts, collected caches, and dropped off the ‘What is the City’ trackable we had picked up the week before. Suddenly it all got very busy. 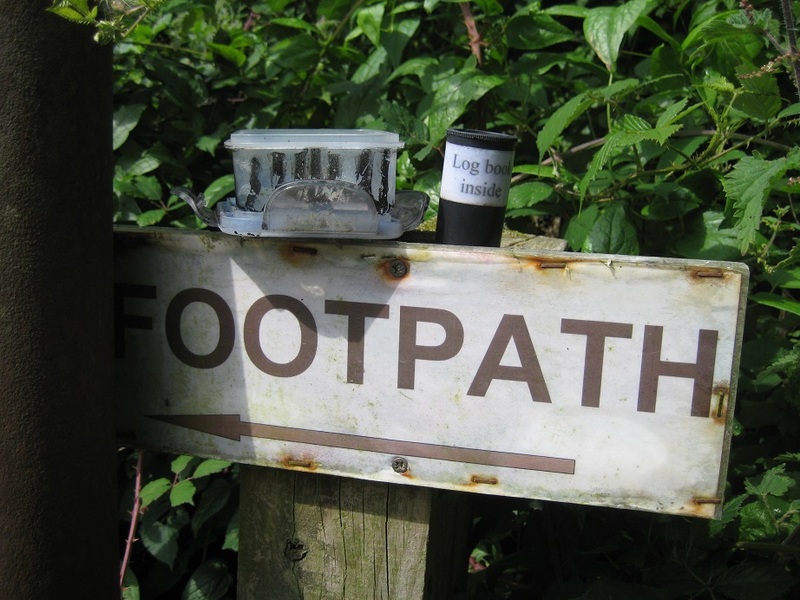 We were stood, signing a cache log, at the side of a country lane. We looked up. A pony and trap were approaching. We waved, and they waved back. We were about to step out into the road, and thought better of it. 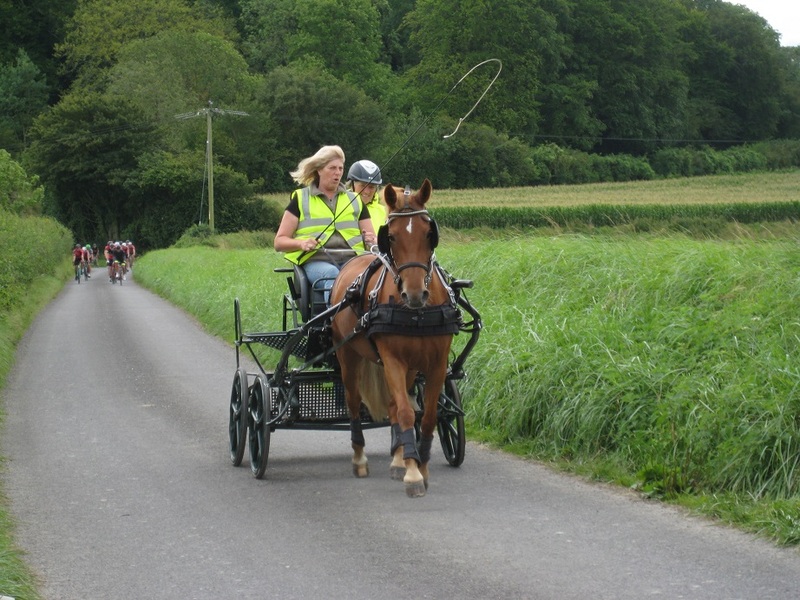 A peloton of about twenty cyclists was zooming up, faster than the horse ahead. We waited, and they all passed. We stepped out into the road, and set off towards the South Downs. 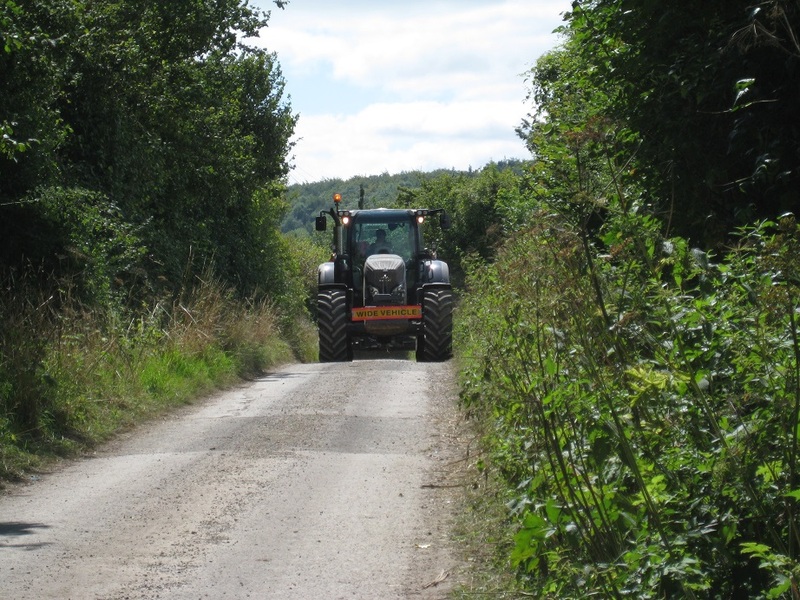 A huge tractor came into view, travelling at speed and entirely filling the lane. We thought for about one second, then climbed the bank at the roadside to let it rush by. Busy around here! Watch out for horses! And cyclists! We walked up the lane. Large tractors and trailers were still rushing past, hauling grain, for it was a sunny day in the middle of harvest time. Nearly at the top of the hill, we needed to step smartly off the road again, as the combine harvester came down the hill, having finished one field and heading for the next. 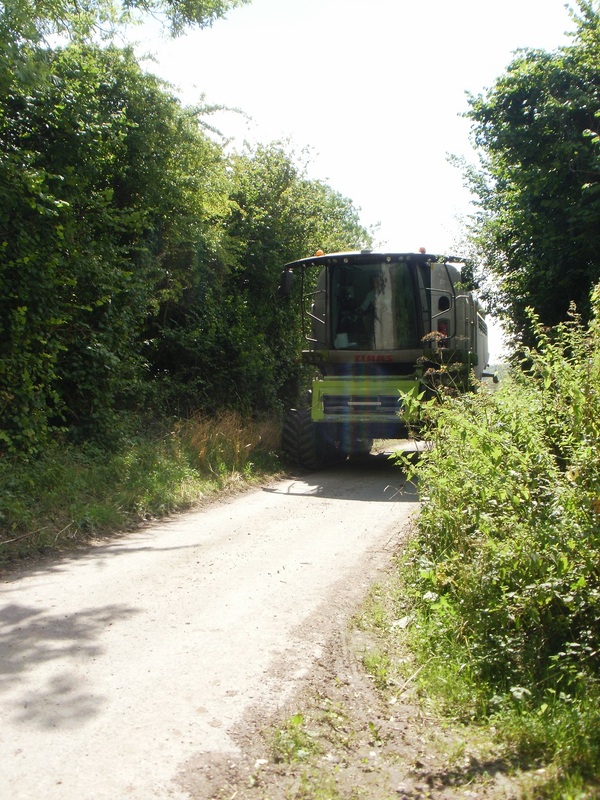 Watch out for combine harvesters! Eventually we reached the crest of the hill and the South Downs Way. We walked this back in 2011, in the other direction, but neither of us could remember this section very well. 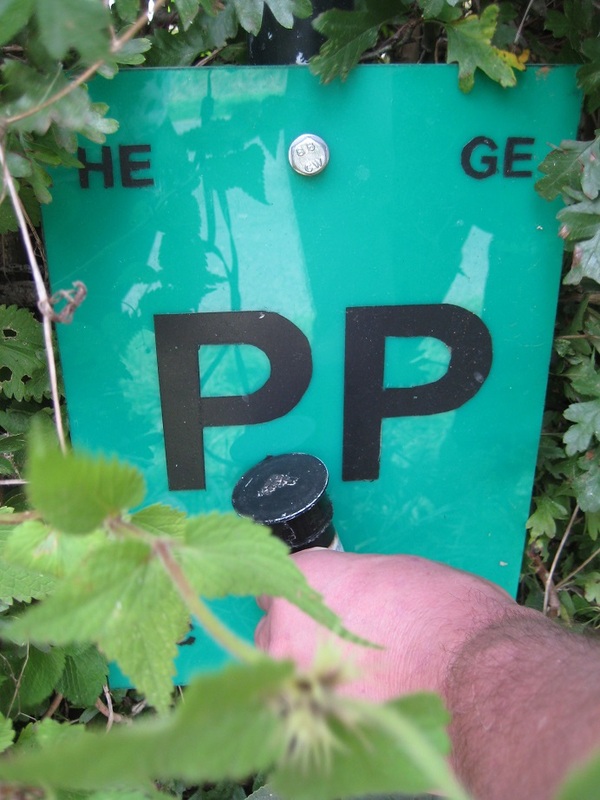 Having paused to chat to an ultrarunner, out training, we found another few caches, hidden in the hedgerow, while yet more cyclists sped by oblivious to us. We walked along the SDW for only a mile or so, passing the spot which is the county boundary between Hampshire and West Sussex, which is where the SDW originally finished before it was extended to Winchester a few years later. 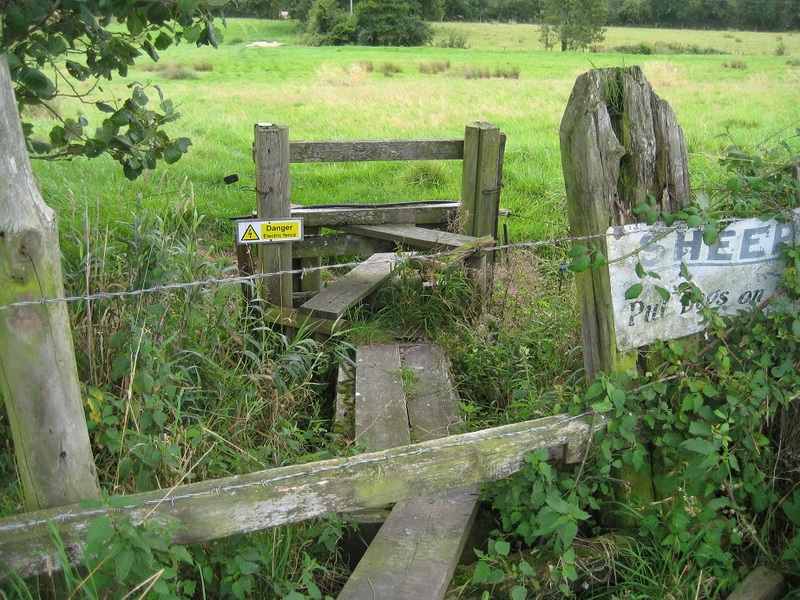 And then we turned away northwards, steeply downhill along a lane, then across more fields towards Buriton village. 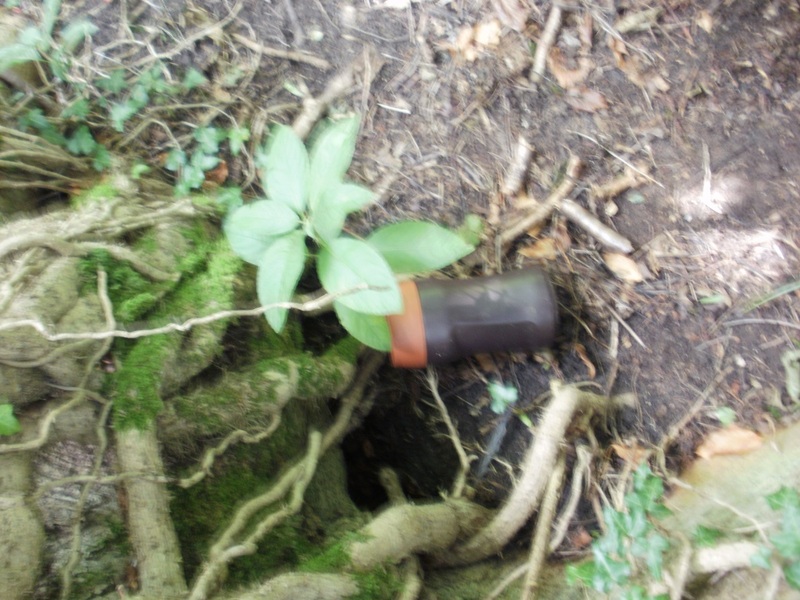 More caches nestled behind nettles, another was buried under a bridge, and others were hidden in hedgerows. Reaching cache 30 in the series, we were concealed in the foliage, signing the log, when a voice from outside said “Is this number 30?” Nice to meet you, DJ_23! We’ll add you to our ever-lengthening list of cachers met while out in the field. Note: to retrieve the cache you will need a special tool. This can be made from a length of string or thread about a metre in length with a piece of ferrous metal attached to the end of it. A newi-sh bronze coin would do for this (attached with blutak) or a steel screw (or nail). Check to see that it is attracted by a fridge magnet. Alternatively you could use a gadget often sold in budget shops which is invaluable for picking up certain items from the floor for those with limited mobility. Please return the cache carefully (“sticky” end up) once you have signed the log. We had dutifully carried a piece of string and a nail around with us all day, and now it was time for some ‘fishing’. We were soon successful (we both tried it), and another cache joined our tally. And then we had one final cache to find, and with a short walk along by the side of Heath Pond we were back at the geocar, having found nineteen of the twenty-one caches we had attempted, and collected clues for a bonus cache to be found another time, after a great walk and caching series on a lovely August day. 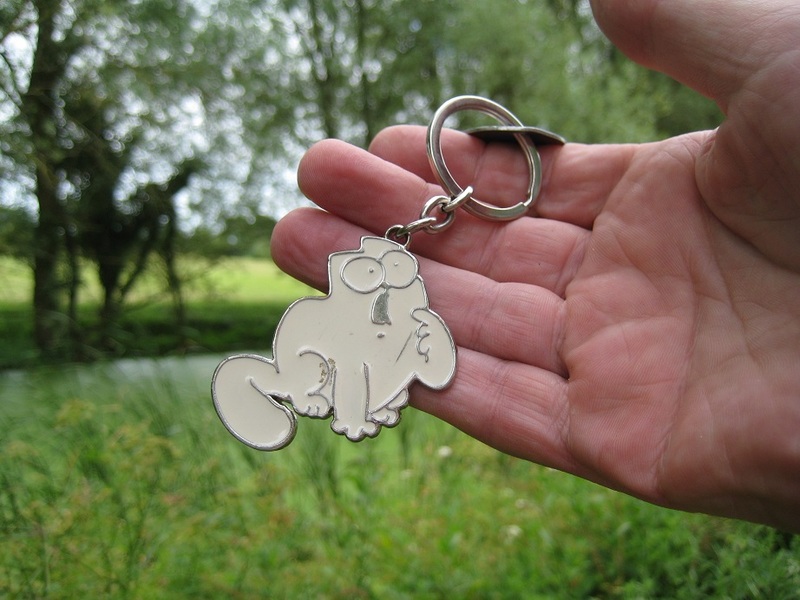 We found this trackable, Annerschter, in a cache from the ‘Lipchis Canal Wander’ series which follows the semi-derelict Chichester canal from the city to the sea. This small traveller, with Simon’s Cat as a travel companion would now like to see the world. He has already experienced a lot with us and now he is ready for his first steps alone. Perhaps he’ll land in England, India, or New Zealand, perhaps he will be around here … the people who will meet him will decide. And who wonders about the name? Well … Mrs. Angeldangel is native Hessin … and when she was asked what the trackable should be called, she said “Annerchter” (Anders auf Hochdeutsch), she was not clear that Mr. Angeldangel would take it so literally. And there he had the name. Take care of him. And maybe you have time for a Buidl (picture on high German) (Mr. Angeldangel, by the way, from Bavaria) on the road. 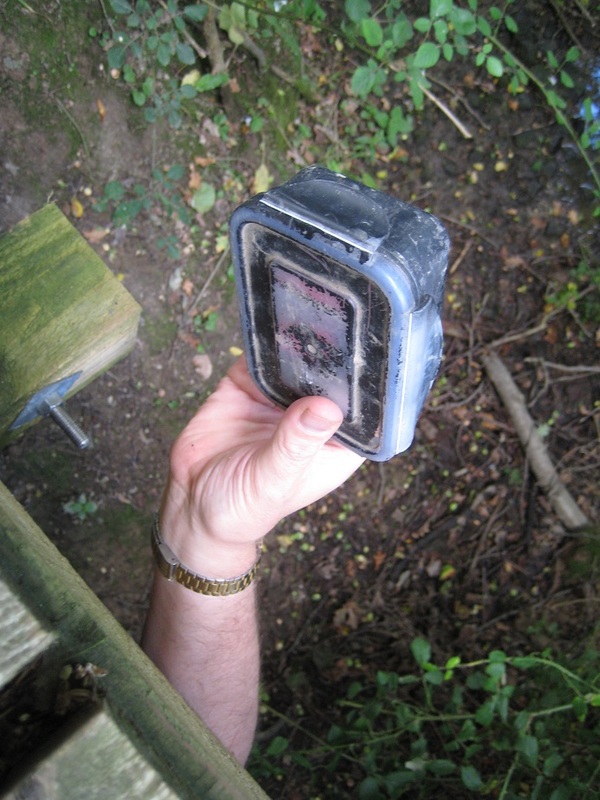 Editor’s postscript: We dropped Simon’s Cat into a cache in Simon’s Wood. We didn’t realise at the time, but that is quite appropriate! A warm Friday seemed like a good day for lazing around on a beach – and why not wonderful West Wittering? 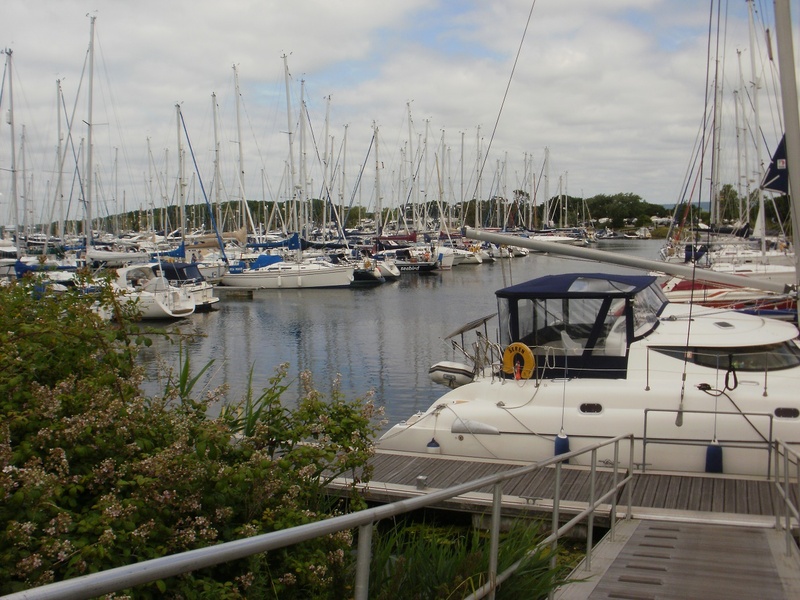 Just short of our destination we paused for some caching, a walk round Chichester Marina and views of Chichester harbour. 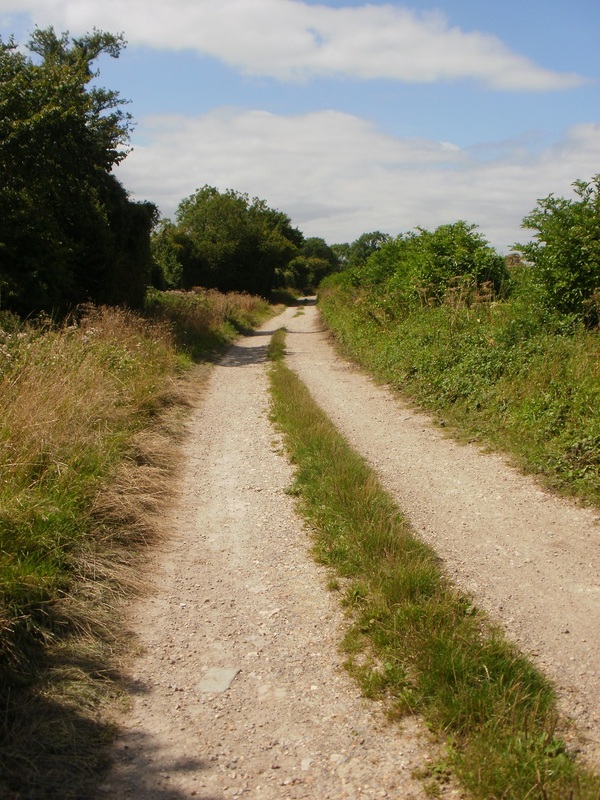 There are two caching trails that lead out from Chichester, forming a circuit. The first is the Lipchis Canal Wander,along the partially restored – partially derelict Chichester Ship Canal, which is also part of the Lipchis Way from Liphook to Chichester http://www.newlipchisway.co.uk The return section is appropriately called The Return, along Salterns Way http://www.westsussex.info/salterns-way.shtml to the city, which is an off-road cycle route back to the city. We planned to do the parts of both routes that lay closest to the marina. 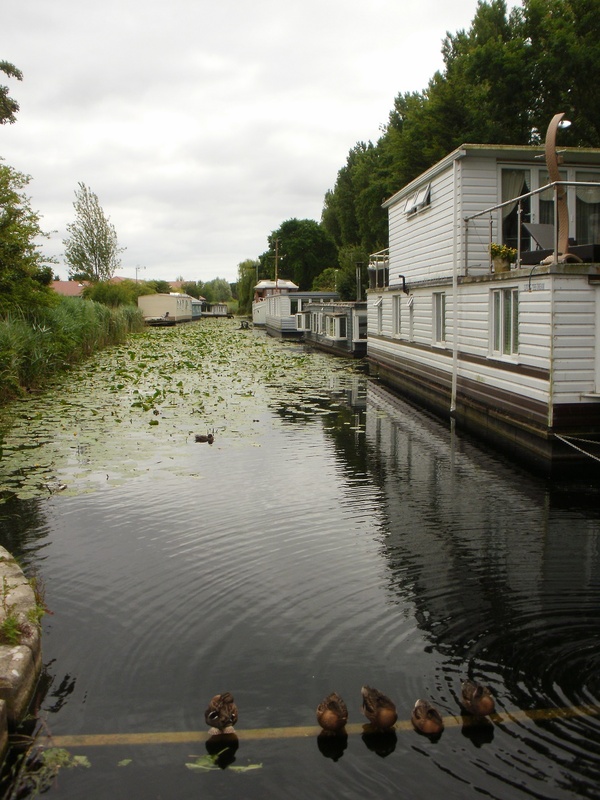 We parked, and set off along the canal, derelict at this point, heading back towards Chichester. The canal still holds water, but this section is only used by ducks and moorhens, not boats at present. Guarding the first cache and ignoring us, two swans were a-sleeping on the road; they must do this often, judging by the number of loose feathers lying around and the protective ring of cones around them. 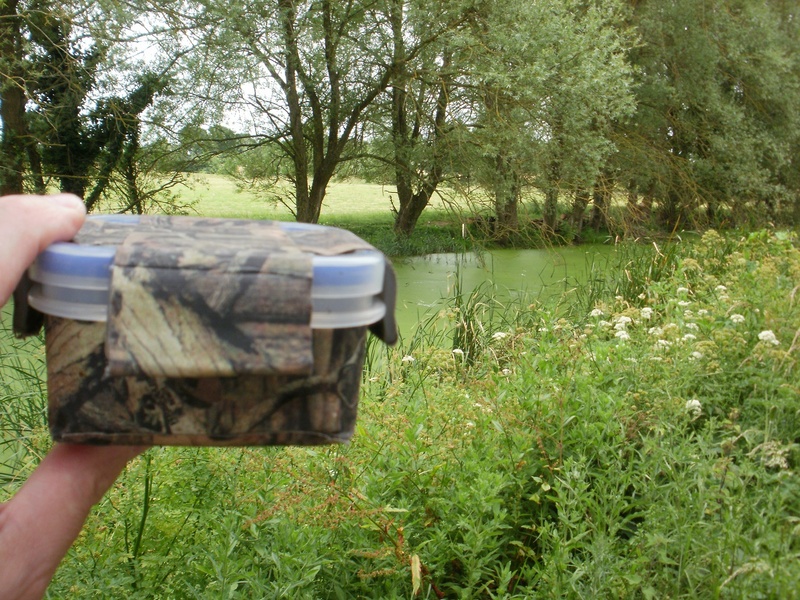 We walked on along the canal finding three more caches, and a trackable, as we went. Crossing the busy A286, we had a glance at the next section of the canal, which is still to be restored, then retraced our steps towards the marina. We found another four easy caches as we walked through the marina. There are millions and millions of pounds worth of boats moored here, ranging from tiny motorboats to enormous floating ‘gin palaces’. 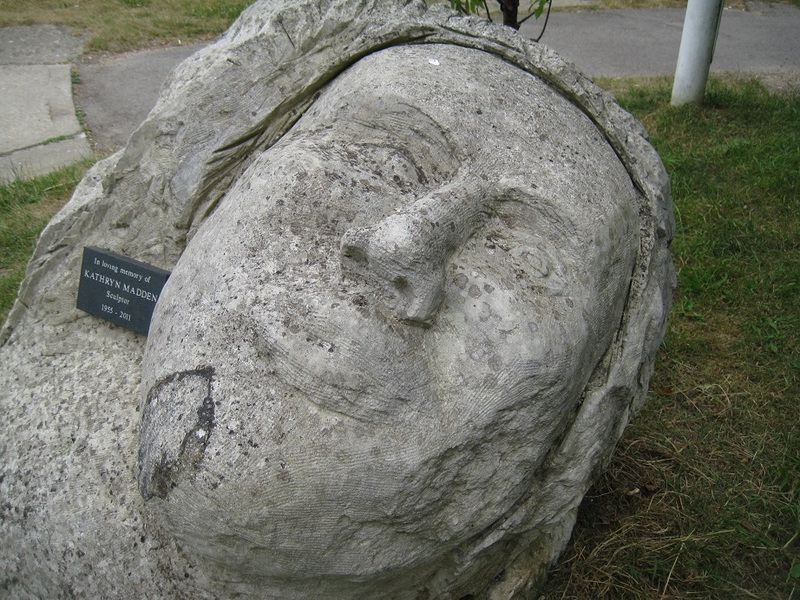 Nearer the estuary, the canal is used by houseboats as well as ducks, and then there is just a disused lock leading out into the harbour, set off by an interesting sculpture, which just looks like a boulder from one side, but something else from the other direction. Here, too, is the start point for a multicache which ended our first caching series for the day. We’d now completed our caching along the canal so headed across the marina to look for caches elsewhere, from ‘The Return’ series. 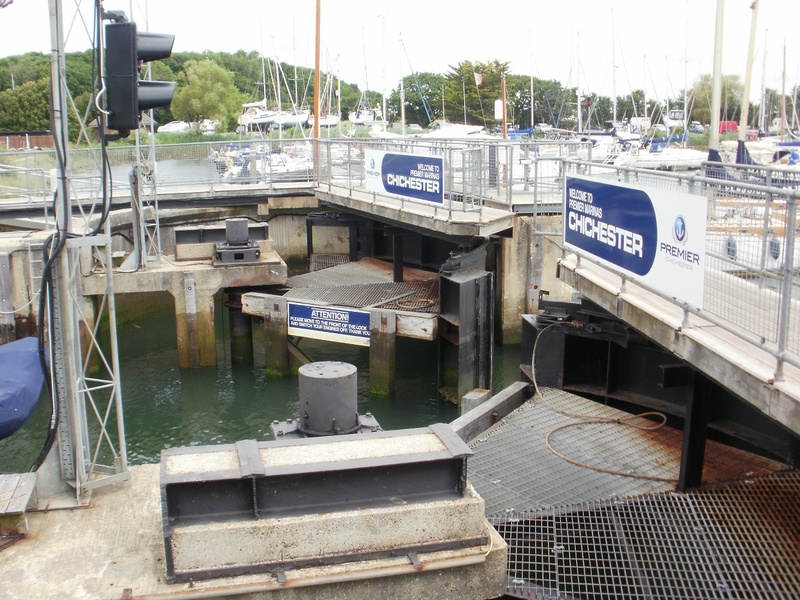 First, we had to cross the lock that keeps the marina full of water when the tide is out, and it was at that point in the tide where boats were busily entering and (mostly) leaving. 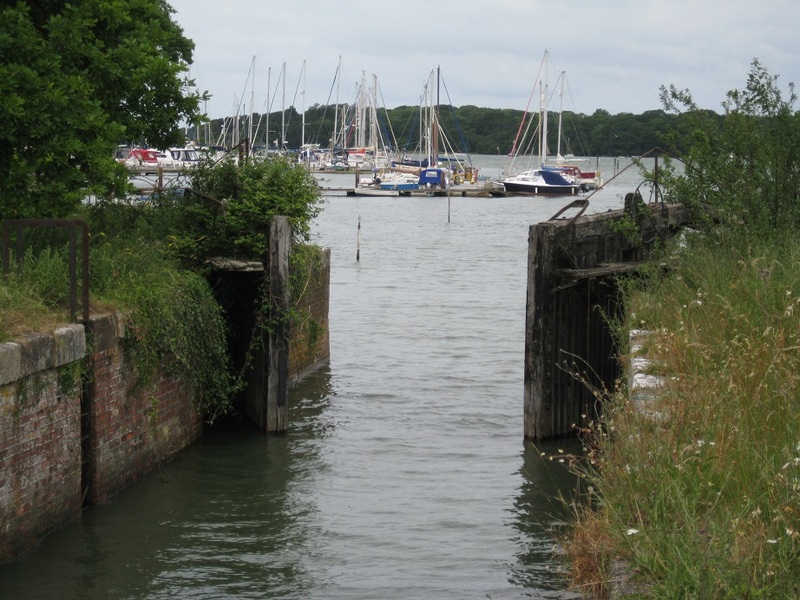 We waited for the semicircular gate to close, walked across the top, and out onto the edge of the harbour. We paused to eat our picnic lunch overlooking the harbour and the people messing about in boats. Later, walking along Salterns Way, we left the marina and were soon away from the coast amid farmland, hedges, and ripening crops. 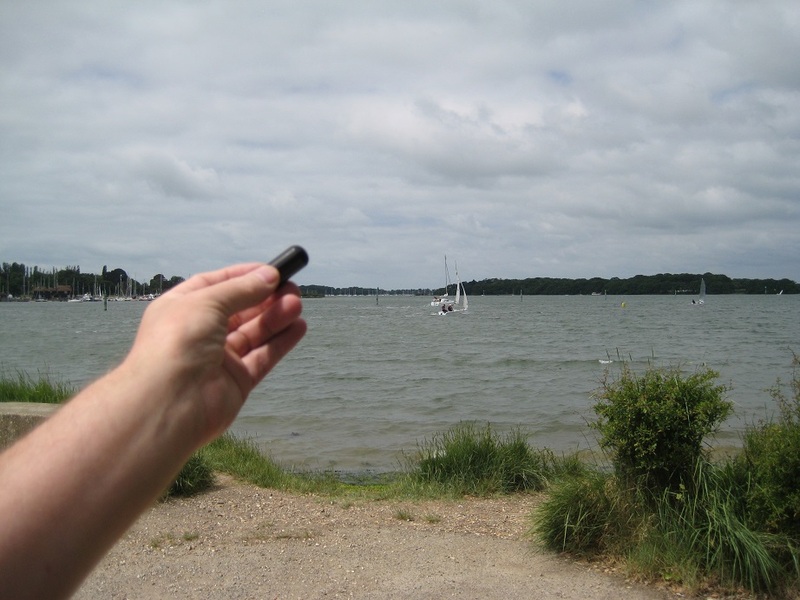 We found another two caches here, the last in a quiet spot away from the bustle of the marina with expansive views back to Chichester, the South Downs, and Goodwood racecourse. By now, the beach was calling us, so we retraced our steps, circling the other side of the marina to reach the geocar and to head off to West Wittering for our first swim in the sea for the year. And, no, the water wasn’t cold! 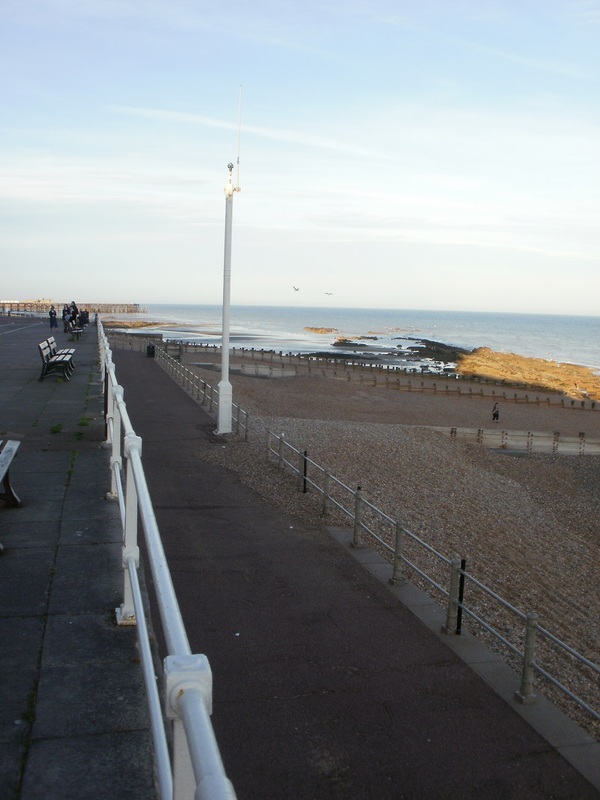 On a warm Saturday evening, we decided to make the most of our caching time by going back to the seafront at Hastings for a bit of caching, a walk on the beach, and a bit of a paddle too. The tide was well out when we arrived so Mr Hg137’s additional plans for a swim were immediately thwarted, as he’d have needed to wade halfway to France before the water got deep enough. This time we decided to start at Hastings pier, http://hastingspier.org.uk , but our attempts to get there were barred by a zealous security guard, as an outdoor cinema screen was being set up. 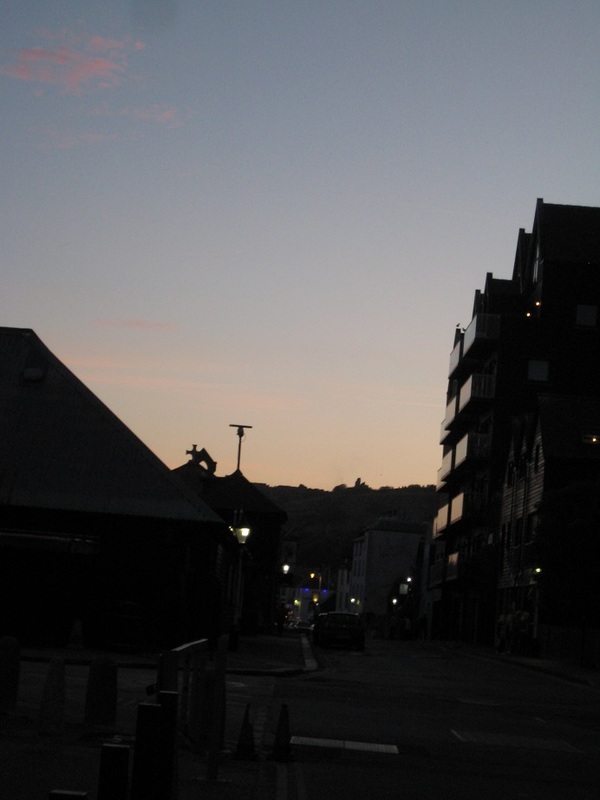 Oh well, another time maybe … Instead, we set off west along the promenade towards St Leonards. 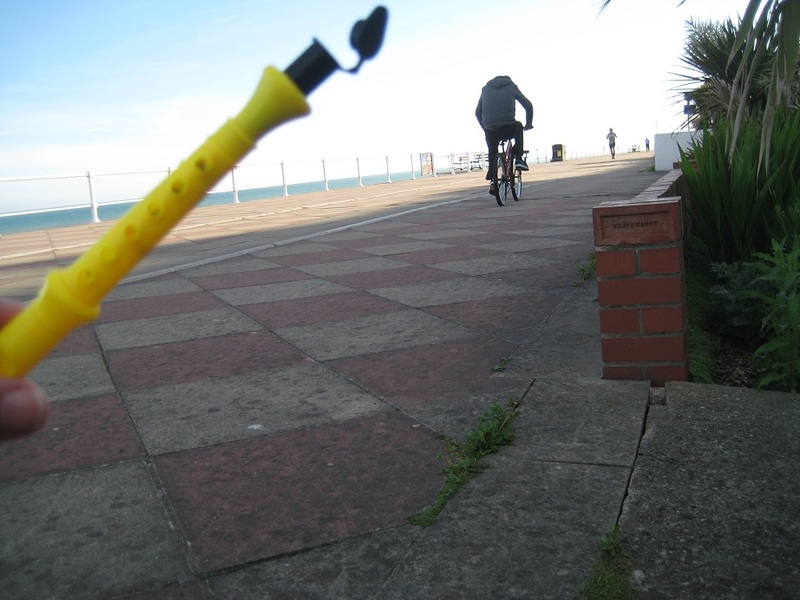 Our first two caches came from the ‘Toy Series’, and there are at least 42 of these dotted about Hastings. We found numbers #31 and #32, both with small cache containers attached to a toy. They made us smile. Fun caches! We went down onto the beach, down the steep shingle, and onto the gently shelving sand that appears near low tide. The shoes came off, trousers were rolled up, we finally got our paddle, and it was not nearly as cold as we had feared. Then we walked back to the shore, wading through a small stream of water draining down the beach. Underfoot, it still looked like sand, but it was much finer, and softer, and both of us sank well above our ankles. Aargh, a quicksand moment! We arrived back at the promenade plastered in mud, and spent longer cleaning ourselves than we had paddling. NOT GOOD. We arrived back at the geocar. It was twilight. We thought ‘hmm, maybe we could go and look for that cache we failed to find two days before…’ A quick trip along the seafront to Hastings Old Town, and past the black fishing sheds, and we were again looking for ‘I love it, this Old town’ in the gathering gloom. We were less conspicuous at this hour, but even so, we still couldn’t find that cache. And that was the caching done for our holiday. We drove back to the hotel in the dark, reflecting on the past seven days. 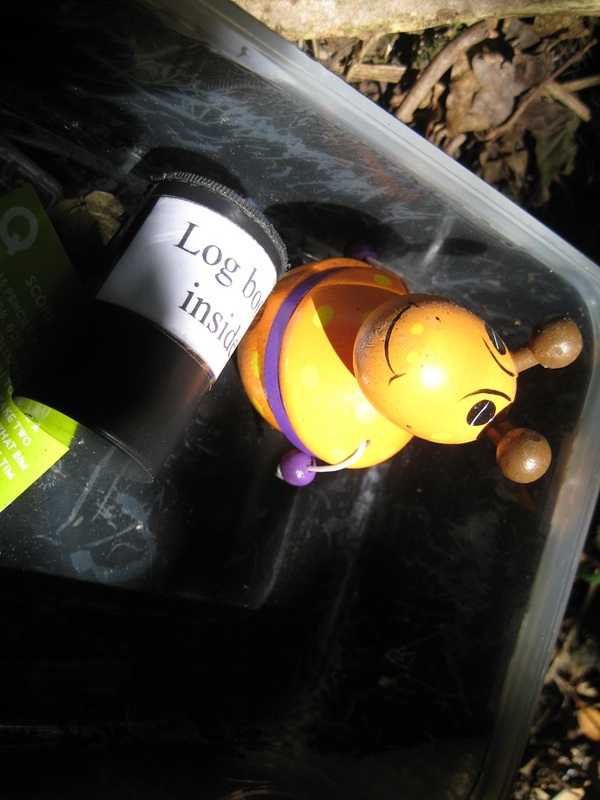 Seventy one caches attempted, sixty three found, glorious weather, simply a super week! 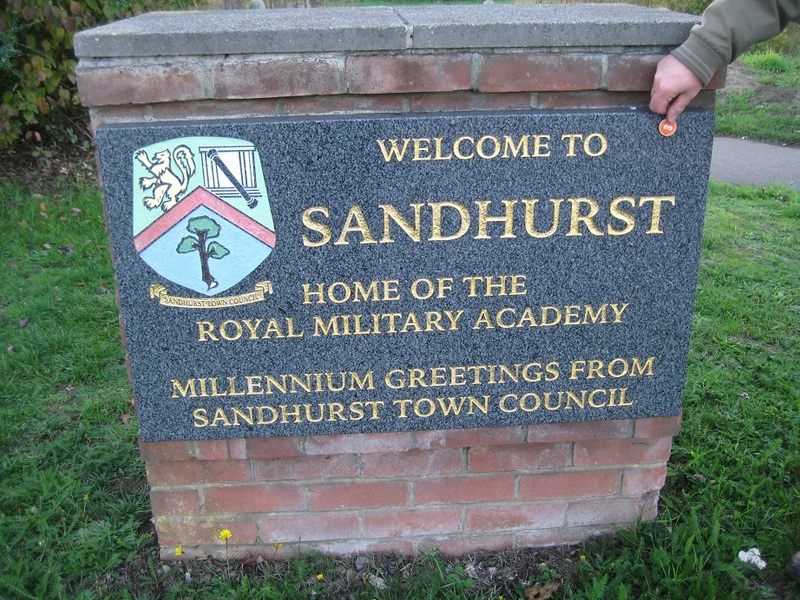 PS And one other thing: we finished our Sandhurst to Sandhurst walk, 85 miles, starting in January in freezing winter weather, and finishing in May on a hot early summer afternoon. 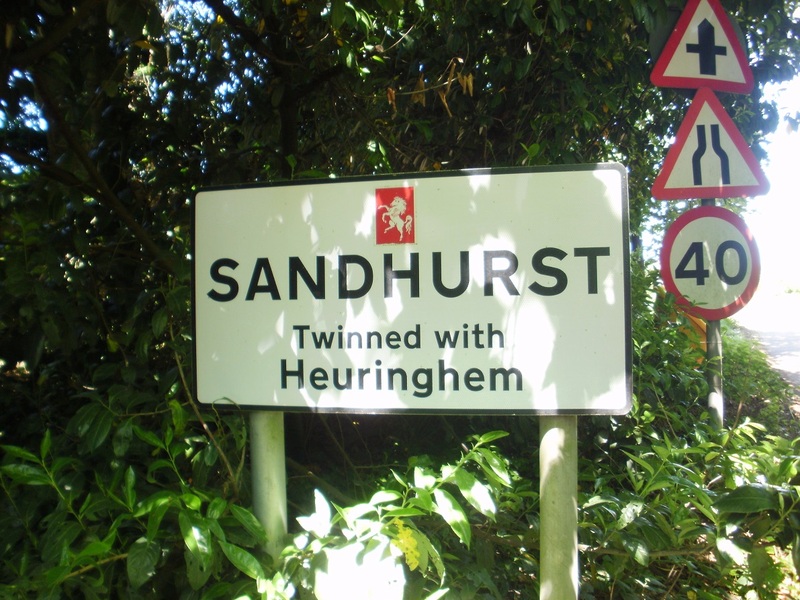 For the future (maybe): there is yet another Sandhurst! 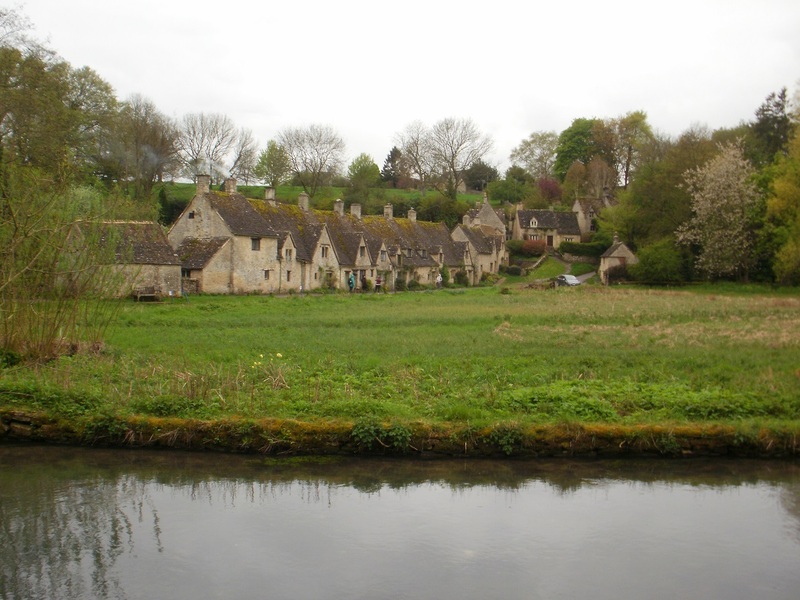 This one’s in Gloucestershire. 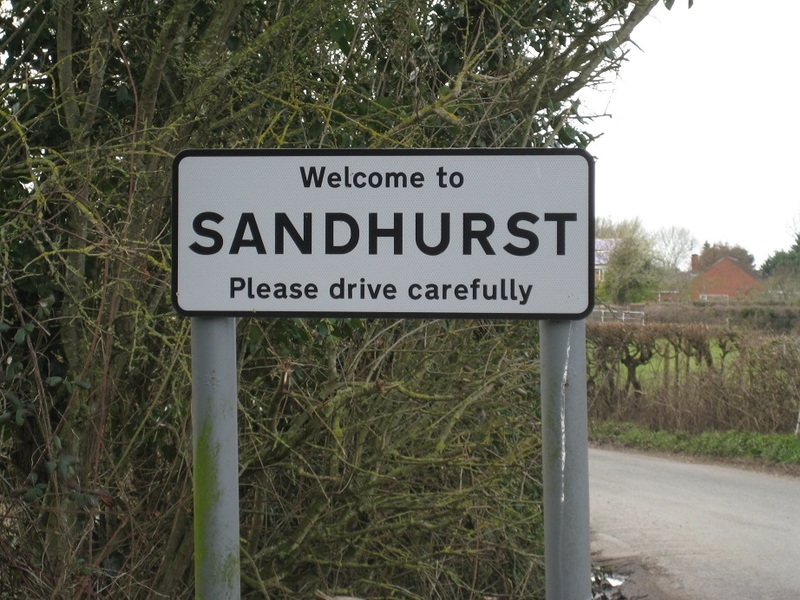 We might, perhaps, walk home to Sandhurst, Berkshire, from Sandhurst, Gloucestershire. Time to start planning? Our last full day in Hastings dawned… with a thunderstorm. The only rain we’d seen all week. 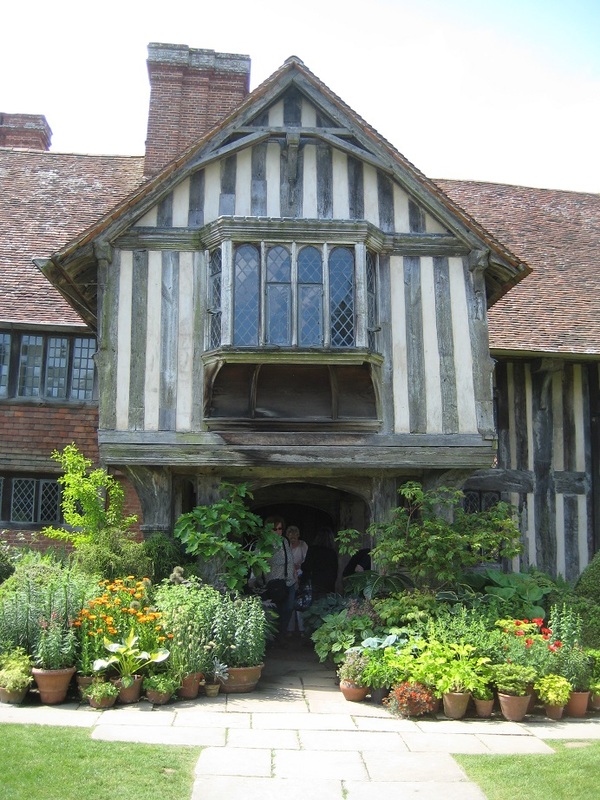 Fortunately the storm didn’t scupper our plans too much, as we had one place to visit, Great Dixter. Great Dixter is a house and garden, situated in Northiam. 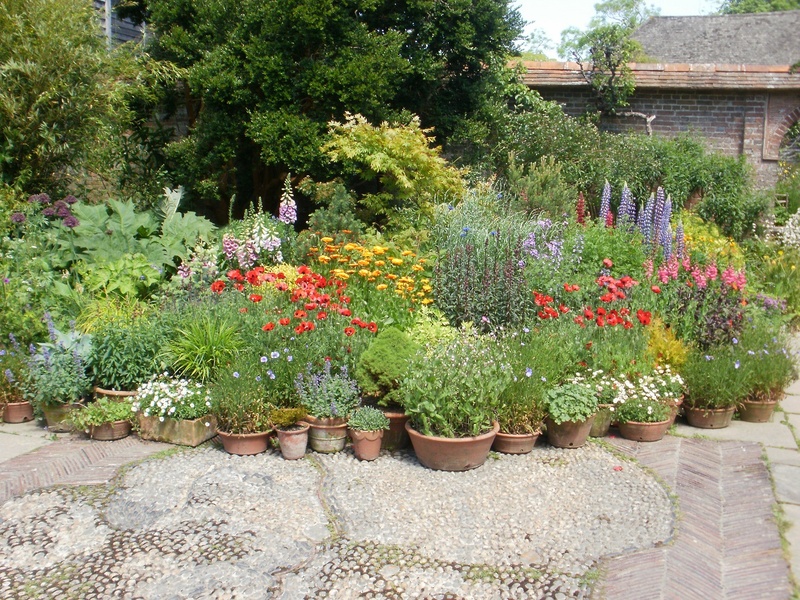 Although people do visit the house, the garden is the main visitor attraction. 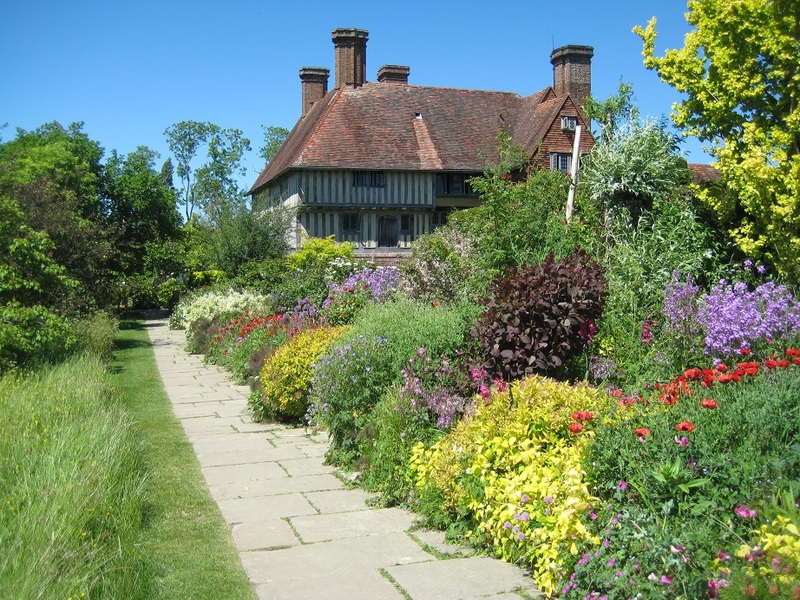 Laid out in the early to mid 20th century by not one, but two garden designer luminaries in Edwin Lutyens and Nathaniel Lloyd. 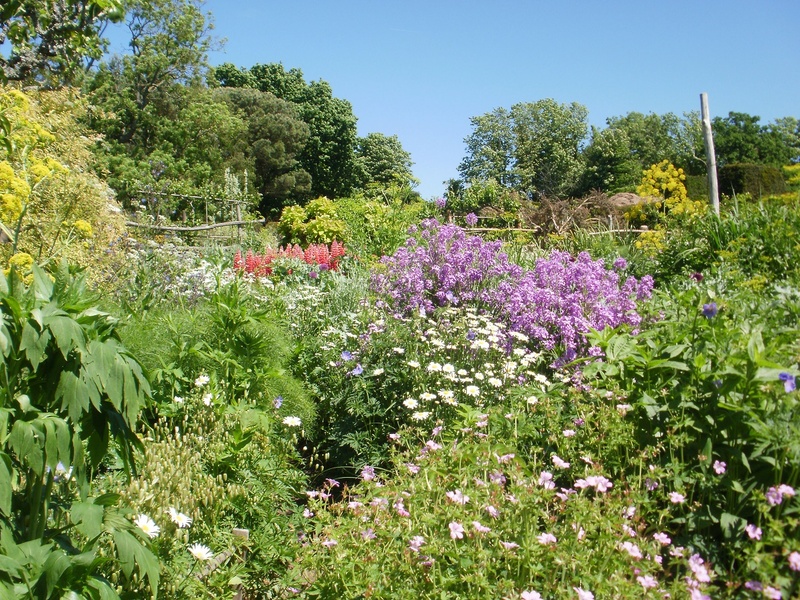 But it was a third garden designer, Nathaniel’s son Christopher, that made the gardens really special. 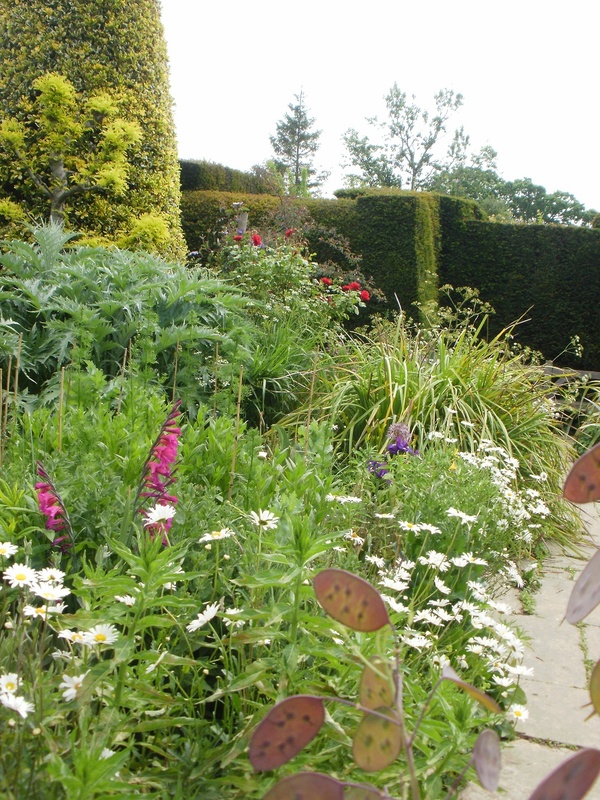 The garden is famous for its long borders, and packed border planting. 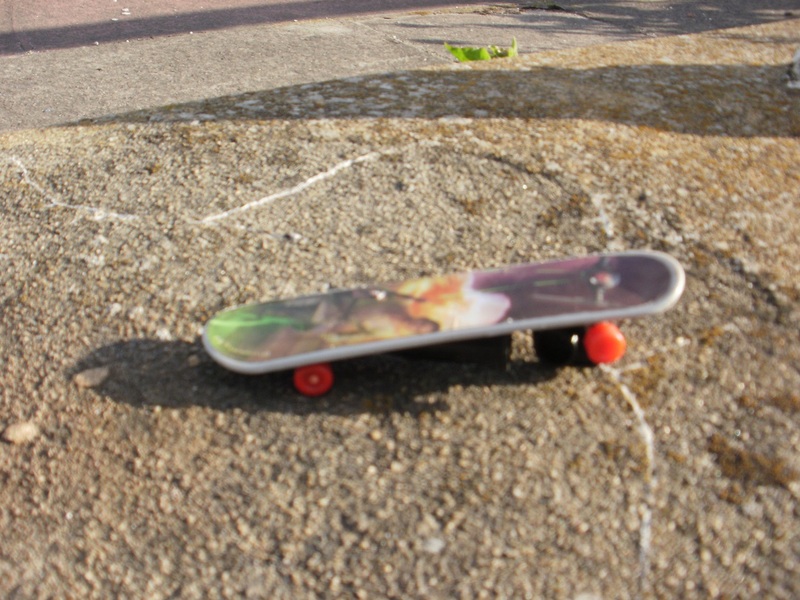 Christopher took the stance… if there is bare earth.. I can put a plant in it! We had though to await these delights as the gardens weren’t open until late morning. 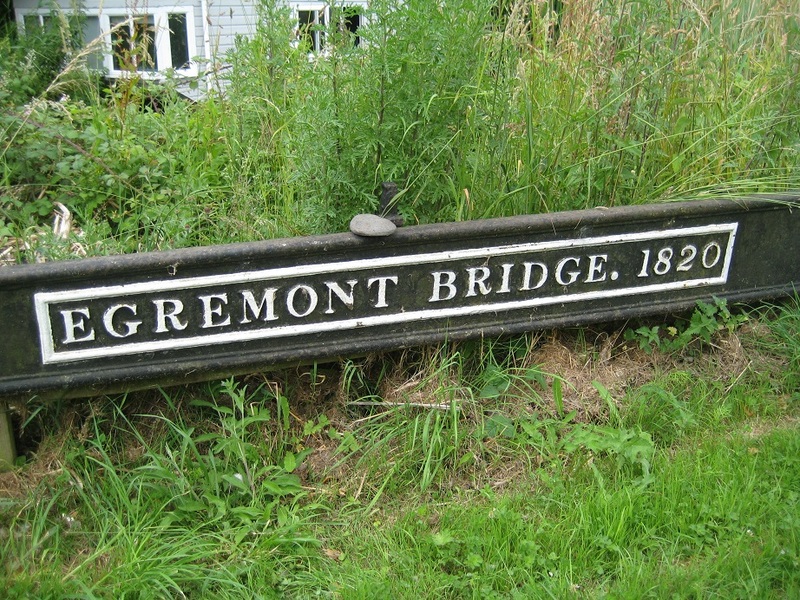 So to pass the time we geocached in the villages in the Northiam area. The early morning rain had made footpaths and undergrowth wet and slippery so we were grateful we had selected some drive-bys. 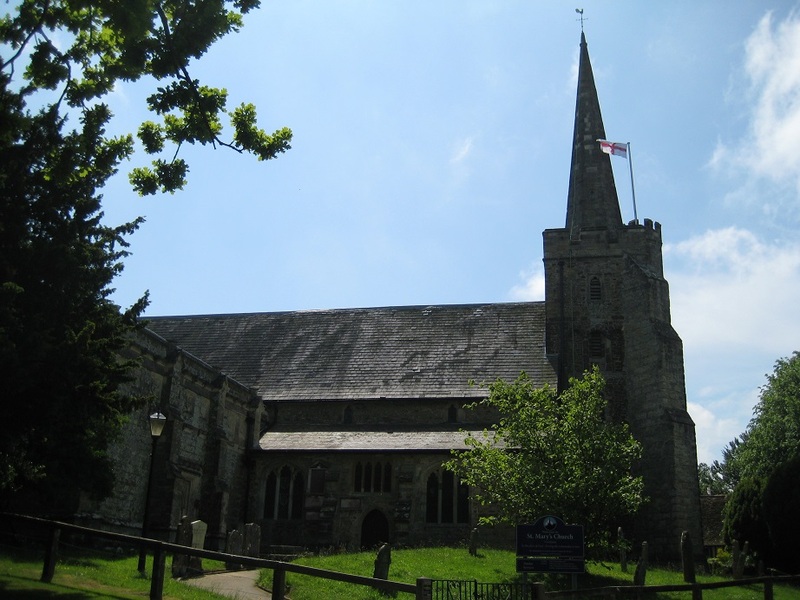 These featured two Church Micros and three ‘Phone an Old Friends’. 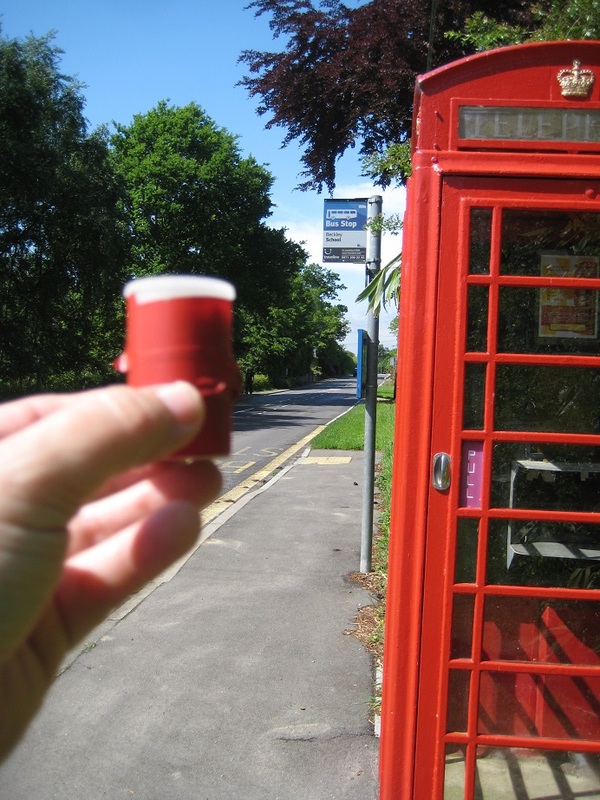 These latter geocaches were hidden in (becoming redundant, if not obsolete) phone boxes. 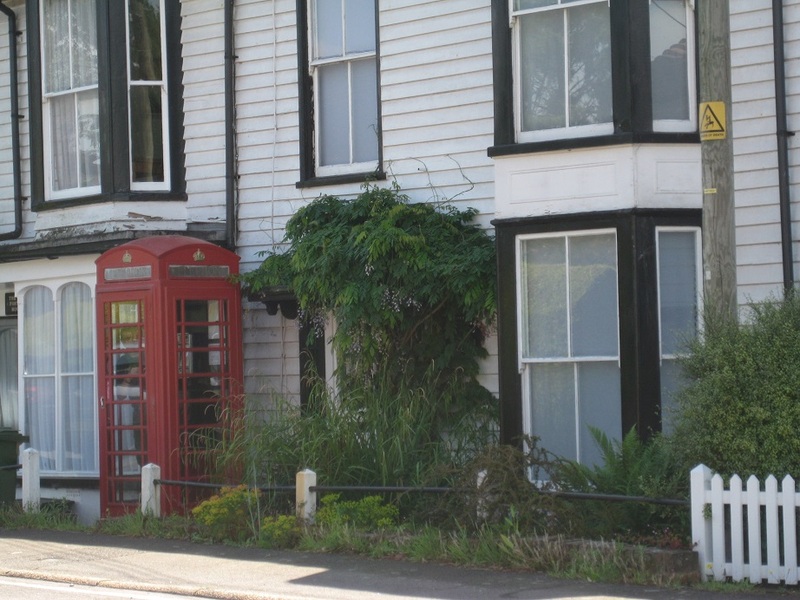 We have, in the past, struggled to find caches in phone boxes. Why, we don’t know, but we do not a high find ratio crammed inside a relatively small red phone box. Indeed our first attempt, in the village/hamlet of Clayhill yielded nothing. Can you see the cacher in the phone box ? Look what we found in the box! Fortunately our next two boxes were more fruitful, the caches hidden in exactly the same way, which gave us the impression that the Clayhill cache was missing. 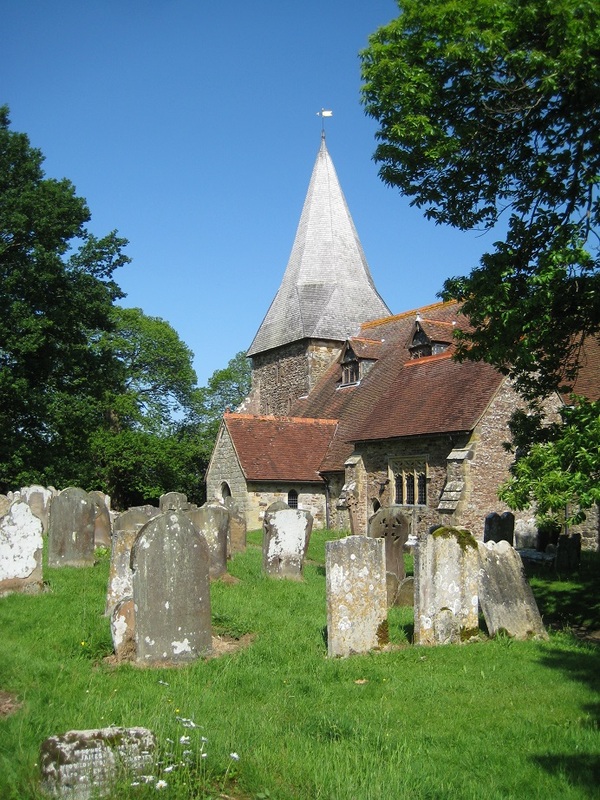 Our two Church Micros were in Beckley and Northiam were both extremely hard to find. Both were hidden in dense undergrowth at a stile, and it took well over 15 minutes to find each one. 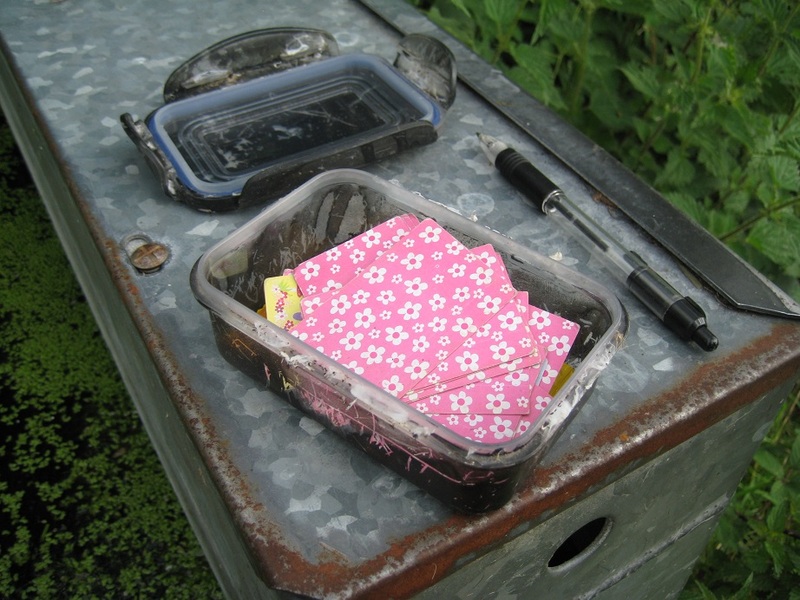 All the caches we found were relatively standard film containers..so the bright colours and planting that awaited us at Great Dixter were a fabulous contrast to the nettles and brambles of the caching trip!